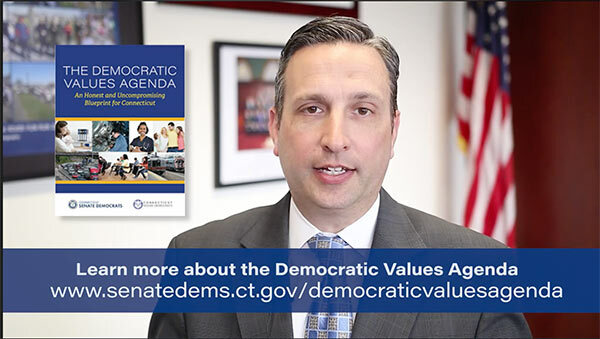 This week was very important for the Democratic Values Agenda as three bills critical to economic security for women and families were voted on in the Labor Committee. Click above for the video. Thankfully, Democratic Senators and Representatives in the Labor Committee voted to pass Earned Family Medical Leave, Pay Equity and Raising the Minimum Wage. 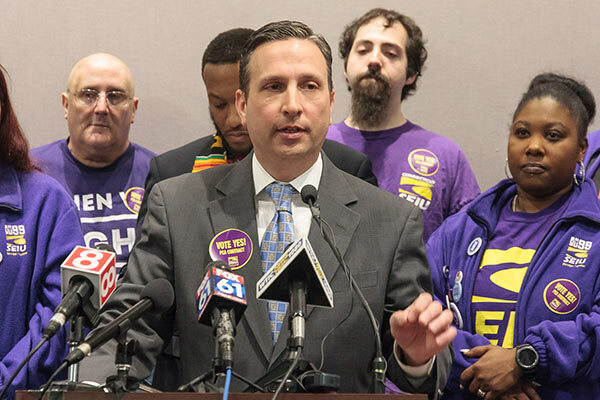 Unfortunately, Earned Family Medical Leave and Raising the Minimum Wage were opposed by my Republican colleagues as they turned their backs on hardworking families in Connecticut. We need the support of each and every one of you to pass these bills over the next month and a half. Together we can improve the economy so that it works for everyone—not just those at the top. This week, I joined my Senate colleagues in voting for a living wage and workers’ compensation for 8,500 home care workers. Home care workers provide invaluable services to our communities by providing in-home care to the elderly and disabled. Until now, these hardworking people were not provided workers’ compensation, making it harder to make ends meet because of low wages. I am proud to stand with these workers. It’s always great when Norwalk residents visit me at the Capitol. 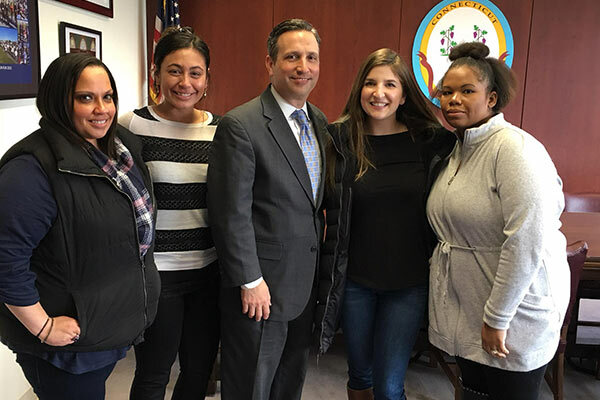 This week, I was excited to meet with Norwalk residents and students from Sacred Heart University for Social Worker Advocacy Day. 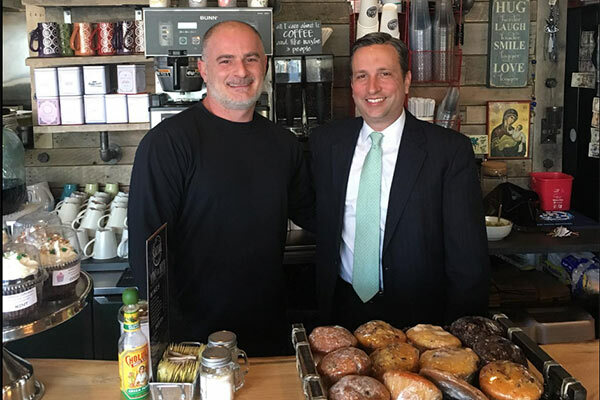 It was great running into some friends at Caffé Social in South Norwalk. I can’t believe it’s been almost a year since they opened. This week, I teamed up with State Representative Derek Slap to write to Connecticut Attorney General George Jepsen asking him to investigate the proposed Time Warner/AT&T merger and the impact the merger would have for net neutrality. It is impossible to assess the AT&T/ Time Warner merger without taking into consideration the impact that the Trump Administration FCC’s proposed net neutrality rollback would have. AT&T is the third-largest broadband provider in the United States, with 15.7 million subscribers. And they own DirecTV, by far the largest satellite television provider with over 20 million subscribers. If the Trump Administration is successful in fully implementing its net neutrality repeal, but is unsuccessful in blocking the AT&T/Time Warner merger, it would create a nightmare scenario for consumers.